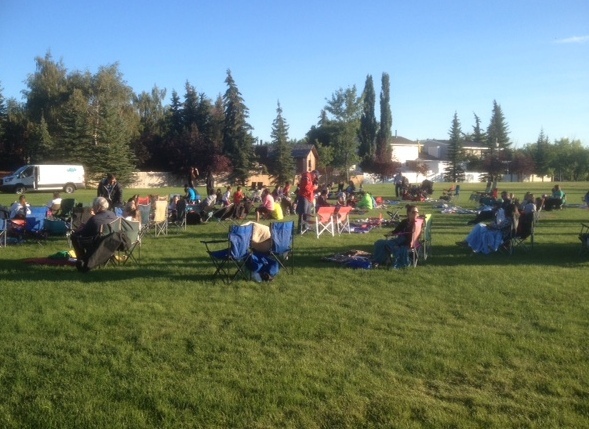 Thank you to all that attended the August 2015 “Movie in Yellow Slide Park” in Deer Ridge. 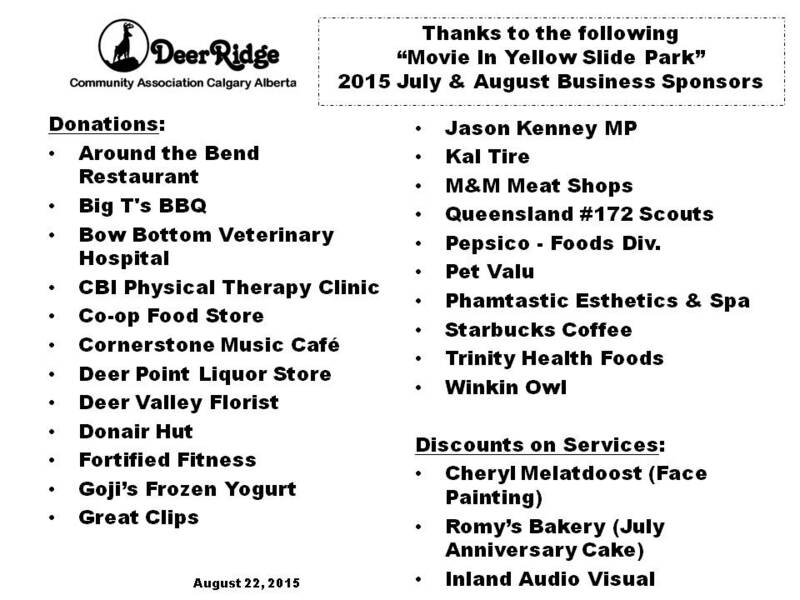 Posted in: Deer Ridge - Movie in the Park, Deer Ridge Community Association, Deer Ridge Volunteers, Deer Ridge Yellow Slide Park, Yellow Slide Park Deer Ridge. 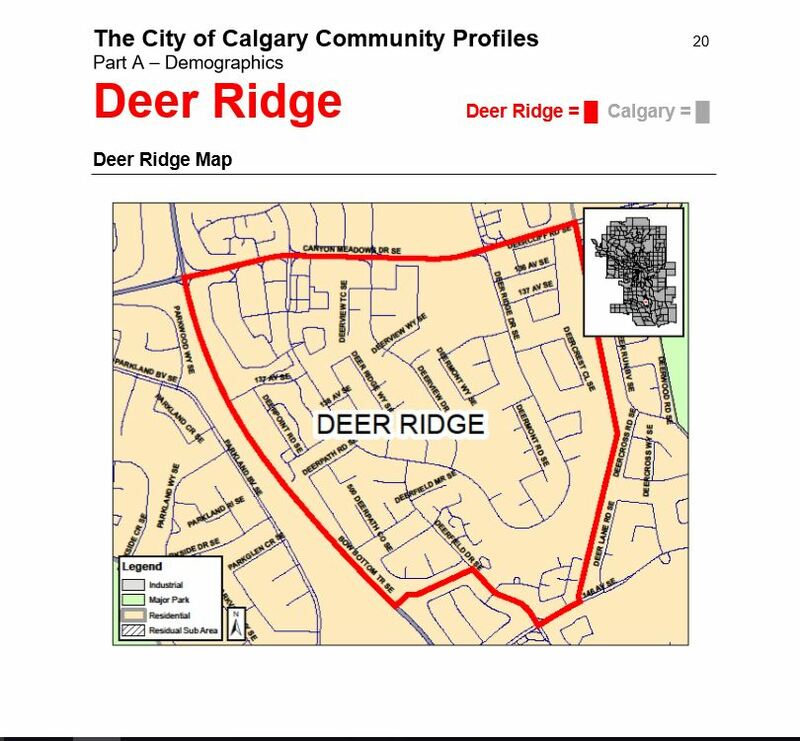 Tagged: Deer Ridge Community Association, Deer Ridge Volunteers, Deer Ridge Yellow Slide Park, Movie in Yellow Slide Park, Yellow Slide Park. 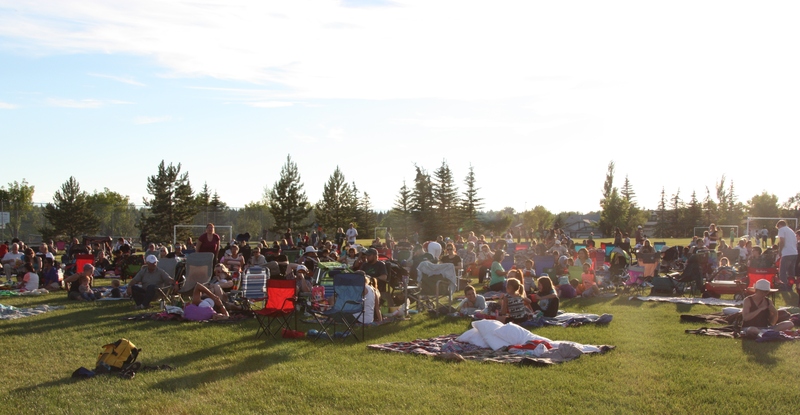 Thank you to all that attended the Deer Ridge “Movie in Yellow Slide Park”. The Lego Movie was a huge success and again we would like to thank the Raffle Sponsors for this event. 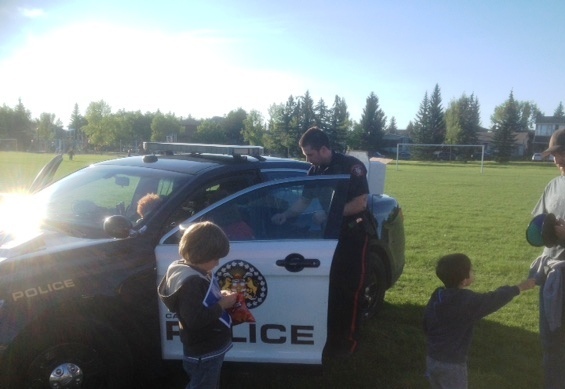 We would also like to thank the Calgary Police Constables for attending, allowing everyone to interact with the police vehicles and handing out the information during their stay. The Face Painting was done by Cheryl Melatdoost who stayed much longer than anticipated to ensure that there was no face left unpainted at the end of the night. Thank you Cheryl ! Thank you to COOP for supplying the food and beverages. The Deer Ridge Community Association Volunteer board members again did an outstanding job in planning, organizing and implementing another successful Deer Ridge Event. 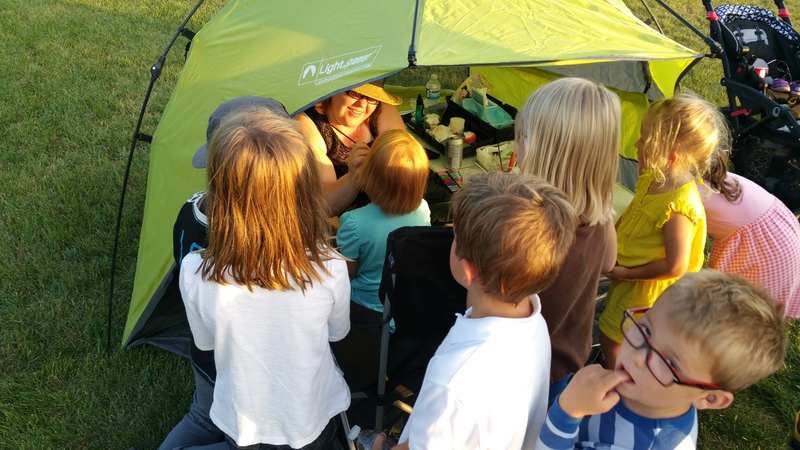 Many thanks goes to the Volunteers: Katrina, Dillon, Ben, Dawn, Lanis Gord, Karen, Alana, Sean, Roy, Bob and our many friends, family and neighbors that help in more ways than we can ever thank you for. The Deer Ridge Community Association cannot be successful without their commitment. Thank you again and see you at “Movie in Yellow Slide Park” next year.